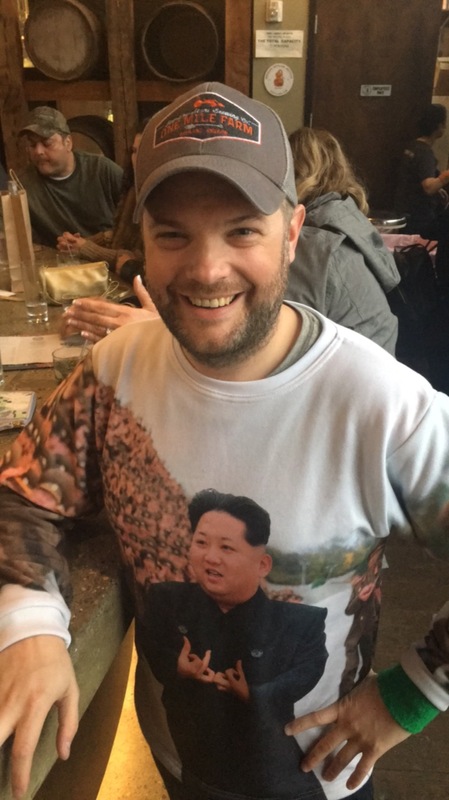 Check out this Kim Jong blood sign sweatshirt. News says that there's a group called "Gang of Seven" in North Korea and Kim Jong is their boss! Took a little while. But, worth the wait. It took a couple of weeks for our product to arrive. But, I must say that the customer service was wonderful as we investigated the situation. We were very happy with the shirt. Quite unique and most importantly a really nice, soft, cozy material. Our shipping times vary based on demand. Everything is hand-made here in the USA and it's very difficult to try to match our finances with a fluctuating number of orders sold each month without creating unstable jobs. We side with our team's stability since we invest in their growth but that means our shipping times can be as little as two days or as long as two weeks. Someday I hope we can do better through economies of scale. I love it - I have received nothing buy hi-5's and shots at the bar whenever I wear this. Quite literally the best sweatshirt I've ever purchased.